Microsoft Visio Professional 2016 is a powerful diagramming platform with a rich set of built-in stencils. It helps you simplify complex information through simple, easy-to-understand diagrams. 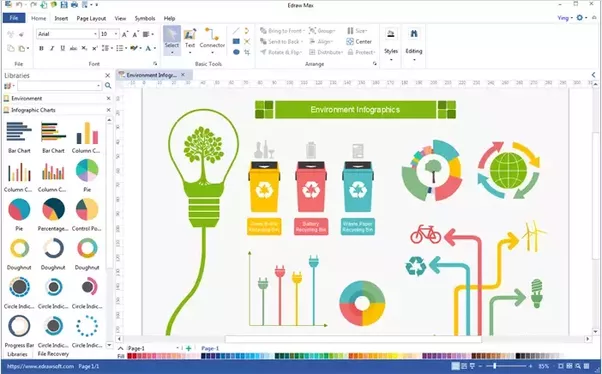 Visio is packed with enhancements to make it easier to get started, find the stencils you want to use, and quickly get great-looking results with over 60 built-in templates, many with updated shapes. You can also create and customize professional-looking diagrams using a rich set of expanded and improved effects and themes that apply a completely different design in just one or two clicks. Replace any shape in a diagram while preserving your shape connections, shape metadata, and overall layout. Improved alignment, spacing, and sizing guides and new ways to adjust the appearance of your shapes. Duplicate and reorder diagram pages while preserving your diagram layout and metadata. 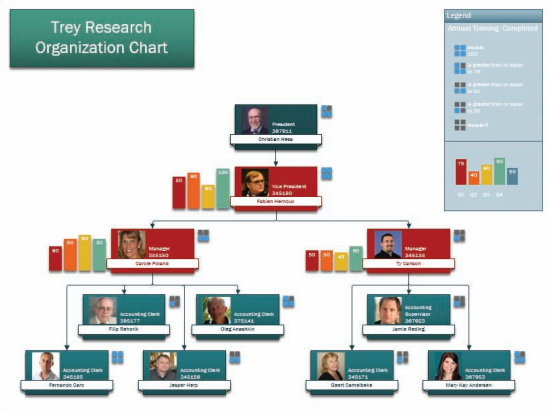 Quickly change the look of your org chart by applying one of several stylesfrom professional to playfulwith just one click. Easily add a personal touch to your org charts by importing pictures in bulk (either from your Exchange directory or from individual files). Your photos will be cropped automatically to fit the shape. Visio Professional 2016 includes enhanced support for team collaboration, so you can work together to accomplish more. 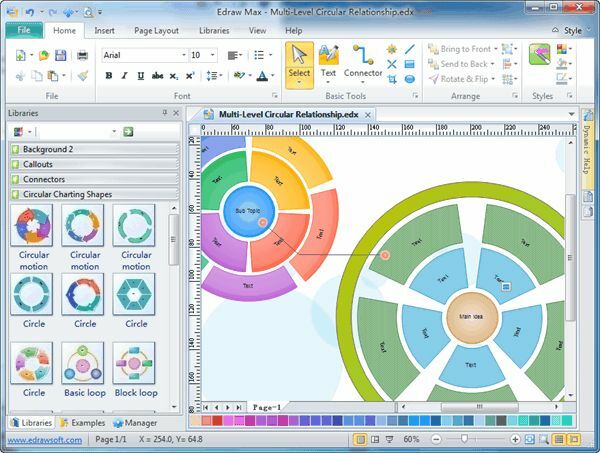 Create beautiful diagrams with ease using Microsoft Visio Professional 2016 from My Choice Software. The powerful diagramming platform features rich built-in stencils that will help you transform complex information into simple, easy-to-understand charts and diagrams. The stencils come in a variety of styles including ones for business diagrams, basic network diagrams, organization charts, flowcharts and general multi-purpose diagrams. With Visio Professional, its possible for multiple people to work on a single diagram at the same time, even if theyre not in the same physical location. Add information, change diagram pathways, swap out shapes and more, then instantly view what others on your team have done. With a Visio Professional 2016 download, you and your team members will always be on the same page. Visio Professional 2016 is the easy way to transform data and information into beautiful, easy-to-follow charts and diagrams. The professional software application includes a variety of updated shapes as well as new templates and modernized office styles for layout diagrams. With Visio Professional, you can import data and information from Excel in a single step, transforming numbers, tables and data into visual diagrams. Theres even a Visio viewer available in the app store so you can view your diagrams on your iPhone or iPad device. Order your Microsoft Visio 2016 download now and enjoy our unique money-back installation guarantee. My Choice Software is proud to offer this authentic Microsoft product at an incredible price. We also offer free support from our trained tech professionals. Visio Professional 2016 include enhanced support for team collaboration that allow multiple people to work on a single diagram at the same time and the ability to link diagrams to data. In addition, Professional has updated shapes, templates and styles. License is 100% genuine, for 1 PC. Activates pre-installed Visio 2016 or installation by Microsoft download (link and instuctions provided with purchase). No additional purchase required. The popular Microsoft Visio Professional 2016 is available at My Choice Software and will arrive very quickly via electronic delivery. Start using Visio Professional 2016 today! My Choice Software is proud to offer this authentic Microsoft product at an incredible price. Order your Microsoft Visio 2016 download now and enjoy our unique money-back installation guarantee. We also offer free support from our trained tech professionals. Visio is a digital download product and is delivered via email shortly after purchasing. Please note that this software requires a Windows 7 operating system or newer for successful installation. The software comes with one user license.